As a new member, you may be eligible to receive $60,000 of group term life insurance* for two years at no cost to you! We are pleased to provide this protection for you. It’s just one of the many benefits of association membership. You’ll also have opportunities to purchase additional group term life insurance and other important insurance coverage’s at affordable group rates through the Trust for Insuring Educators (TIE). Take advantage of this benefit…available only to new CEAI members with coverage! Enrollment information will be e-mailed to you. *subject to carrier approval. 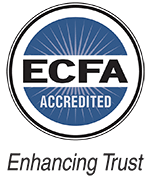 New member benefit paid by the Trust for Insuring Educators and CEAI.